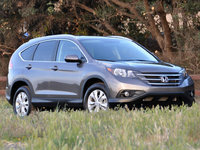 CarGurus has 44,765 nationwide Outback listings starting at $1,500. You may not take the 2013 Subaru Outback on a safari or mountain climbing, but its unique styling and power can still let you feel the same exhilaration. There are only a few aesthetic changes for 2013, after the debut of the meaner-looking SUV style introduced in 2010. The Subaru Outback for 2013 will have a sleeker-looking grille, larger fog lights, new headlights and a redesigned front bumper. The biggest change is the addition of an all-new 4-cylinder boxer engine. For those who want a fuel-efficient all-wheel-drive crossover, the 2013 Subaru Outback still offers practicality with ample passenger and cargo space. The 2013 Subaru Outback's 2.5i 4-cylinder engine comes in three trim levels, Base, Premium and Limited, and the 6-cylinder 3.6R comes in Base and Limited trims only. The Outback appeals to those looking for a fun vehicle that they can take off-road, yet can still handle kids, people and cargo every day. The 2013 Subaru Outback 2.5i trims will feature a new 2.5-liter engine that features an increase in performance as well as better fuel economy. It produces 173 hp and 170 lb-ft of torque. The option of a 6-speed manual transmission is available in all but the 2.5i Limited, although the continuously variable transmission (CVT) is preferred. The option of the CVT gives the driver paddle shifters behind the wheel to simulate a manual transmission when desired. Subaru expects the new 2.5-liter engine combined with the CVT will provide 24 mpg city/30 highway. The 2013 Outback 3.6R will remain powered by a 256-hp 3.6-liter V6 combined with a 5-speed automatic transmission. With the larger engine of course comes a trade-off in fuel economy, with an EPA estimated 18/25. The 3.6-liter is available only in Premium and Limited trims. 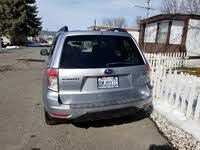 Subaru has consistently offered crossovers that provide car-like handling, with ample ground clearance and an ability to hold the road like no other crossover in the same price range. For the 2013 Subaru Outback, the maker has found a way to improve handling even more by stiffening the structure of the Outback as well as tweaking the steering and suspension to improve ride and decrease body roll. This will offer even better handling and ride comfort than before and not only will improve ride comfort in the city and on the highway, but make any off-road driving much more comfortable as well. The interior of the 2013 Subaru Outback received a slight facelift as well. Subaru has replaced the less-than-luxurious interior materials with new seat fabric as well as wood-grain trim to provide a classier-looking interior. Although there is more than enough room for 5 adults in the Outback, it still offers no third-row-seat option. For 2013, a new 10-way power driver’s seat will be available in the 2.5i Premium trim, while the Outback Limited trim will add leather upholstery, a 4-way power adjustable passenger seat and the option of heated seats. All models will be available with USB connectivity, as well as controls for items such as the radio, heating and cooling on the steering wheel for more safety and convenience. Safety has long been on the top of the list for Subaru, and the 2013 Outback is no exception. Previous models have received the IIHS's commendation as a Top Safety Pick, and the 2013 has added safety features to assure that will not change. A new brake override system will cut power to the transmission if both the brake and accelerator pedals are pressed at the same time. This will also be the first year that a new driver-assistance system will be available that includes pre-collision braking, a vehicle lane change warning system and adaptive cruise control. Combine this with front, rear, side and curtain airbags, and not only is the Subaru Outback a versatile crossover, but top of the line in safety as well. 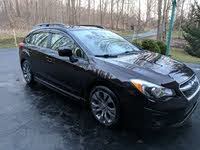 What's your take on the 2013 Subaru Outback? 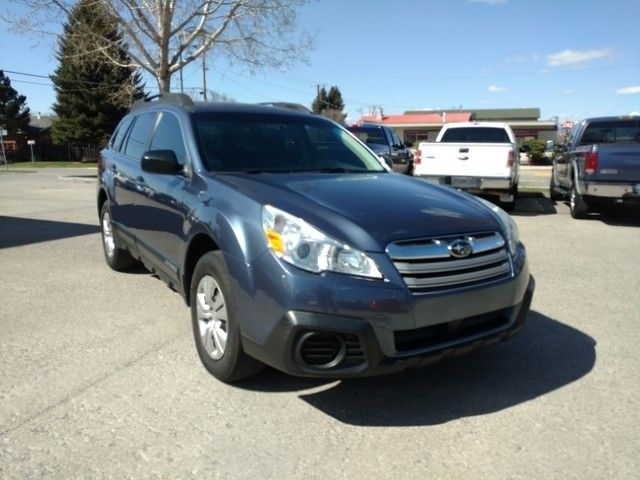 Have you driven a 2013 Subaru Outback? The center console where radio, AC are located doesn't have power. Thought?